Off message but before it gets too wet, cold, dark and miserable I thought I would post on a wonderful 8 mile walk last month. 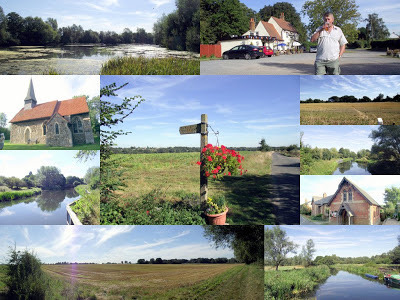 The walk started near the 12th pilgrimage church, All Saints in Ulting. Walk along farmland then alongside the River Chelmer and back through the village of Nousley. Stopping off at the "Sportsman Arms" for a little light refreshment. Walk from the free site Essex Walks. I've posted more pictures on Facebook here. Click on picture to bring up detail.